If you fancy a celebration with a difference why not consider Tamworth Castle for a celebration? With more than 900 years of history and set in the beautiful Castle Grounds, it provides the perfect setting. 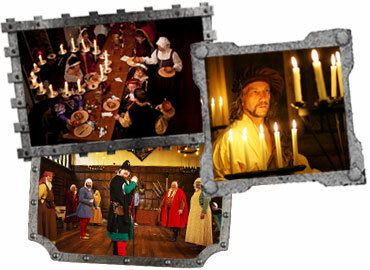 Feast like King Henry the VIII – a spectacular evening of entertainment, a five course banquet and plenty of fun. To organise a private hire event, call or email our team for more information and prices. Telephone: 01827 709 626. Email: heritage@tamworth.gov.uk. For details of group visits of more than 20 people, please take a look at what we can offer.